Originally from Ohio, Ben Burchett began his focus on Traffic and Criminal Law while still in law school at the University of Miami in Miami, Florida. There, he interned at the Miami-Dade Public Defender's Office, where he was able to advocate for clients and argue before the judge while still a law student. While in law school, Mr. Burchett also competed in many trial competitions and was a law clerk for the Honorable Ellen Leesfield. 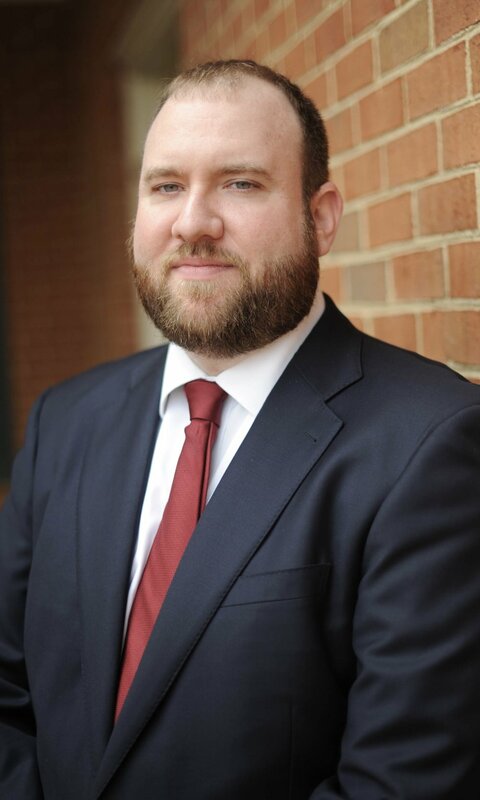 Mr. Burchett moved to Virginia in 2007 and accepted a position as an Assistant Public Defender at the Fredericksburg Office of the Public Defender. While at the Public Defender's Office, Mr. Burchett practiced primarily in Stafford County. During his time in Stafford, Mr. Burchett successfully tried all types of criminal charges to the jury and the judge, including burglary, grand larceny, assault and battery, malicious wounding, marijuana, drug possession, and distribution, DUIs, failure to appear, and many other serious felonies and misdemeanors. Mr. Burchett won numerous full acquittals and not guilty verdicts for his clients. He appeared regularly in Stafford General District Court, Juvenile and Domestic Relations Court, and the Circuit Court. After three and a half years at the Office of the Public Defender, Mr. Burchett went into private practice at Burchett & Mroczek, PLC. His focus continues to be on the needs of his clients while providing the highest quality legal representation. Mr. Burchett has been branching out his practice to other nearby cities and counties, where he defended clients with traffic and criminal charges including attempted murder and gang related charges. He continues to provide many clients the opportunity to walk out the courtroom doors and go home to their families. Mr. Burchett is an active member of the Fredericksburg Area Bar Association and the Virginia Association of Criminal Defense Lawyers. Ashley E. Mroczek is a Virginia native and happily returned to Virginia after completing an undergraduate degree at Tulane University in New Orleans, Louisiana, and a law degree at the University of Miami in Miami, Florida. While in law school, Ms. Mroczek clerked for the Domestic Violence Court. In her third year, she served as an advocate in Court for foster children through the University of Miami's renowned Children & Youth Law Clinic. She also received the HOPE Community Service Award each year of law school for developing an after school tutoring and mentoring program at a local middle school. Given her experiences in Miami, Family Law was a perfect fit and in 2008, Ms. Mroczek began practicing family law under local attorney Kristie L. Kane. During her time at Ms. Kane's office, Ms. Mroczek successfully handled a range of family law matters, including, but not limited to: divorces, military divorces, child custody and visitation, child support, spousal support, adoptions, wills, and protective orders. She regularly appeared in court before judges all over the Commonwealth but most regularly in Stafford, Fredericksburg, and Spotsylvania. In April 2011, Ms. Mroczek and her partner, Benjamin T. Burchett, opened Burchett & Mroczek, PLC. Burchett & Mroczek, PLC offers clients aggressive representation in all areas of family and criminal law. In her time at Burchett & Mroczek, PLC, Ms. Mroczek has continued to successfully advocate for her clients, their families, and their children. Ms. Mroczek is a certified Guardian ad Litem in the 15th Judicial Circuit and was recently selected to be the attorney representative on the Fredericksburg Juvenile & Domestic Relations Court's Best Practices Foster Care Team. In 2011, Ms. Mroczek was honored as Virginia's Big Sister of the Year for her involvement in the Rappahannock Big Brothers & Big Sisters Program. Ms. Mroczek is an active member of the Fredericksburg Area Bar Association, the Fredericksburg Area Bar Association-Guardian ad Litem Section, and the Virginia Association of Criminal Defense Lawyers. In addition, Ms. Mroczek is the Past President of the Family Law Section of the Fredericksburg Area Bar Association. Originally from Vicksburg, Mississippi, Patrice graduated from Hinds Community College with a degree in Operating Systems and was featured on both the President's List and Dean's List. After placing 1st in a statewide PBL public speaking competition, Patrice went on to win the third place in public speaking at the national level. She moved to Virginia in 2004 and began her paralegal career under the tutelage of local attorney turned Judge, Hon. Joseph A. Vance, IV. Patrice joined the firm of Burchett and Mroczek, PLC. in 2013 as our Paralegal and brought with her not only a cheerful disposition but a fierce determination to help our clients and attorneys prepare successfully for litigation. She enjoys relaxing at the beach, dining out, going to the movies, and spending quality time with family and friends. Angel joined Burchett & Mroczek, PLC. in March 2015 as our Legal Assistant and was recently promoted to Legal Office Administrator. Equipped with endless compassion and understanding, Angel provides support and reassurance to our clients when they need it the most. During her free time, she enjoys summers by the lake and winters in her craft room.